OYSTER BAY, Long Island (WABC) -- A Nassau County legislator is being praised for rescuing a neighbor from a burning home on Long Island. Donald MacKenzie says he woke up to the sound of screaming early Saturday morning. "I saw my neighbor was literally naked, running up and down his driveway with a hose and his house was engulfed in flames," said MacKenzie. He called 911, grabbed a ladder in his yard and helped rescue a man from the second floor of a home in Oyster Bay. 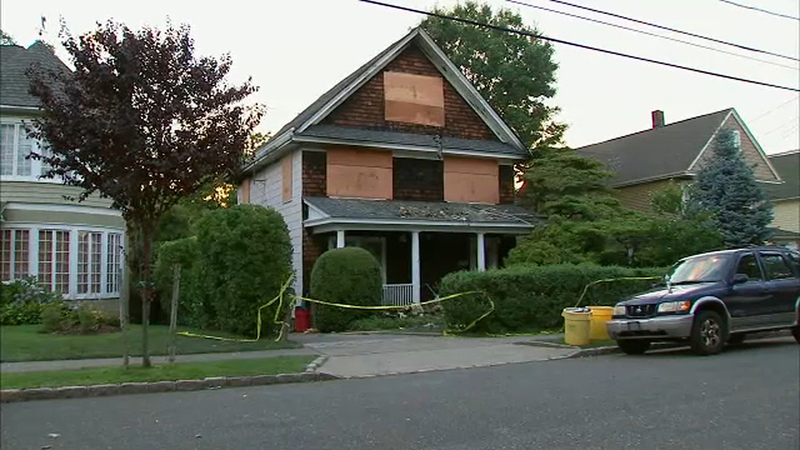 The homeowner and an Oyster Bay firefighter suffered burns but are expected to survive. A male tenant was treated for smoke inhalation. Nassau County Arson Bomb Squad Detectives along with the Nassau County Fire Marshal determined the fire to be accidental.